Scientists at the German Cancer Research Center have discovered a new species which is helping them understand epigenetics: all individuals of the marbled crayfish examined so far have been female. They reproduce by parthenogenesis, the unfertilized ovum develops directly into a new individual, and possess completely identical genetic makeup. Differences between individuals must therefore result from epigenetics. Cancer too can also have epigenetic causes, which makes the marbled crayfish an interesting model for cancer research. Frank Lyko, scientist at the German Cancer Research Center (DKFZ) in Heidelberg has a keen interest in epigenetics. Unlike genetics where a fault in the genetic makeup will cause a gene to deliver the wrong product, occur multiple times or be missing completely, epigenetics is concerned with tiny changes in the genetic material which cause a gene to be more or less active. This is crucial for organisms to adapt to new environmental conditions such as diet, population density or temperature. "Epigenetic factors may also influence cancer risk and play a role in the clinical development of the disease," says Lyko. For example, colleagues at DKFZ have recently shown that epigenetics plays a major role in medulloblastoma, an aggressive brain tumour in children (DKFZ PM Nr. 30/2014). Lyko explains that, "in order to understand the basics of epigenetics, we need models. The usual mouse and rat models typically used by cancer scientists are less useful for this purpose." Time to look elsewhere. 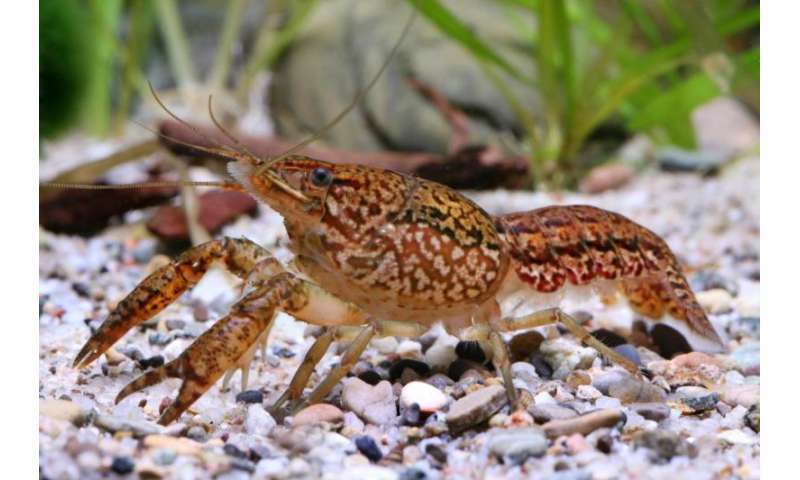 Günter Vogt, a zoologist at Heidelberg University suggested that the DKFZ scientists take a look at the freshwater marbled crayfish which has now spread worldwide. In Madagascar, it reproduces so quickly that it poses a threat not just ecologically but also economically as the animals destroy rice crops. Marbled crayfish also occur in the lakes of southern Germany as well as in Sweden and Japan and are now even readily available in most aquarium and pet stores. "As there are only females, I suspected that these crayfish might reproduce by cloning. If so, then these animals should all have identical DNA and the large variety in appearance and behaviour might be based entirely on epigenetic causes." Lyko was curious and started looking at these animals in the lab which confirmed the assumption. "We examined the DNA of 4 animals and found that they were completely identical, we did not detect a single genetic difference. The marbled crayfish is indeed a clone - millions of animals derive from a single original specimen." The marbled crayfish has evolved from the slough crayfish, a species aquarists have been breeding for many years. "In the case of the marbled crayfish, something occurred in the genome that allows the animals to propagate by parthenogenesis," Lyko explains. The animals lay triploid eggs which develop into complete crayfish without fertilization. It is presumed that an accidental cold shock prevented meiotic cell division in a female's eggs. Meiosis reduces the number of chromosomes in the parent cell by half and without it the crayfish lay diploid eggs with a double set of chromosomes. If these eggs are fertilized, they produce triploid offspring - with a triple set of chromosomes. These animals are larger in size than their parents, but normally sterile and unable to produce offspring themselves. Scientists have speculated that this 'event in the genome' resulted in the marbled crayfish establishing itself as a separate species. Biologists call this a spontaneously fertile population. In order to test this, researchers put female marbled crayfish together with male slough crayfish. "The animals started mating immediately, but the offspring we received were all pure marbled crayfish. The genetic material of the male slough crayfish was nowhere to be found. We don't know yet whether this is because fertilization didn't occur in the first place, or whether, following fertilization, the genetic material in the sperm remained unused." The marbled crayfish is however, definitely a separate species. And since they made the relevant findings, Lyko and his colleagues were allowed to name it. They decided on 'Procambarus virginalis', which basically means 'virgin crayfish'. The scientists have also discovered that compared to the Everglades crayfish, the marbled crayfish has only about 1.4 times the amount of genetic material. 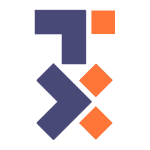 In a triploid chromosome set, they had however expected around 1.5 times the amount. It appears that something went missing in the process. 'We are now looking at which parts of the slough crayfish genome are missing in the marbled crayfish. Maybe this is also where the key to parthenogenesis lies hidden,' Lyko hypothesizes. Before he started working on marbled crayfish, Lyko's group had already tested other animal models where epigenetics play a major part. One of them was bees, where a larva that is fed royal jelly will develop into a queen, whereas those fed on nectar grow into regular small worker bees. Locusts, when kept isolated in a cage show a discreet green colour. When allowed to live in a swarm however, they develop a striking brown-yellow colour. Both animal models were unsuitable for cancer research explains Frank Lyko: Bees can't be bred in the lab, and everybody finds locusts disgusting. Hopefully with the marbled crayfish, Lyko's group have now found the ideal model for epigenetic cancer research. They have recently published their results in Biology Open.